Welcome to our free Advanced Google AdWords tutorial. This tutorial is based on Webucator's Advanced Google Ads Training course. Check whether your ads are bringing qualified leads to your Web site. Conversion tracking allows you to bid intelligently by leveraging metrics such as cost per conversion and ROI. 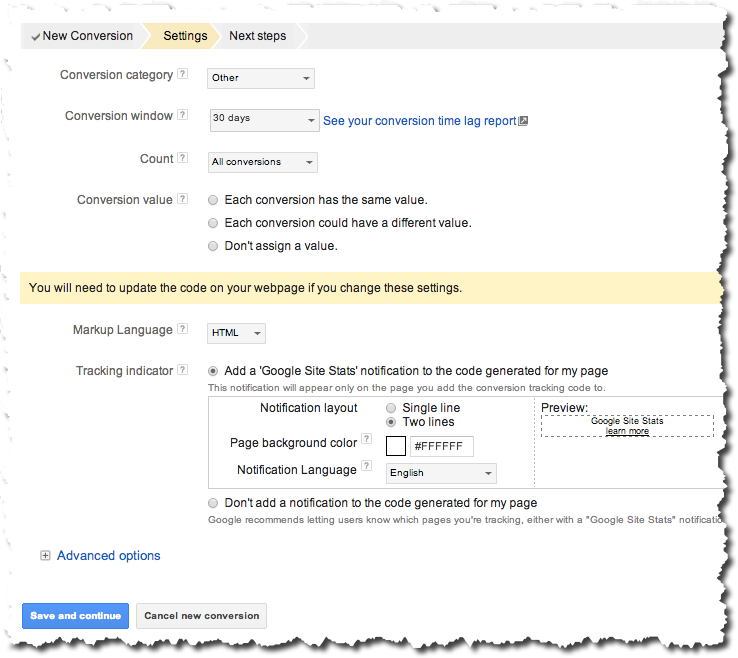 You install AdWords conversion tracking code on your receipt page or any confirmation pages (lead generation pages). When a visitor completes a transaction or submits a contact-us form, cookie valves will be modified by the tracking code. This allows Google to track which campaigns/keywords brought visitors who actually completed a task on your site. Use the Tools tab and select Conversions. Provide Conversion Name, a field that will help you remember which conversion is taking place. Select Source, a field that allows to select conversion type from a few different conversion categories. Click Save and Continue to proceed further. Choose your Conversion category, Conversion window, Count, and Markup Language. Select whether you would like to inform your online visitors about the fact that you are tracking their visit. Select the background color (by default it's white). Click the Save and continue button to proceed. Wait for a conversion to occur. It could take about 24 hours for Google to update your reports. 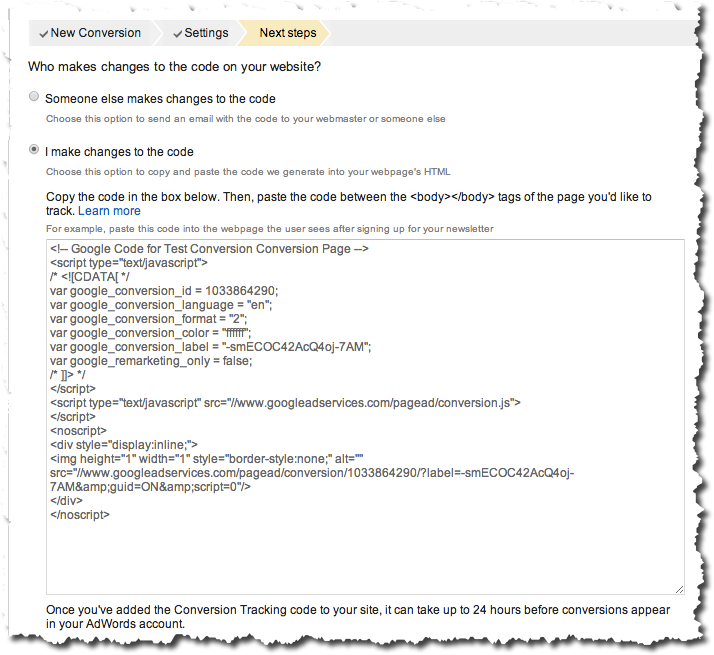 Complete a test conversion on your site, after which you should see small but clearly visible text that says "Google Site Stats" on the conversion pages where you've placed the code. 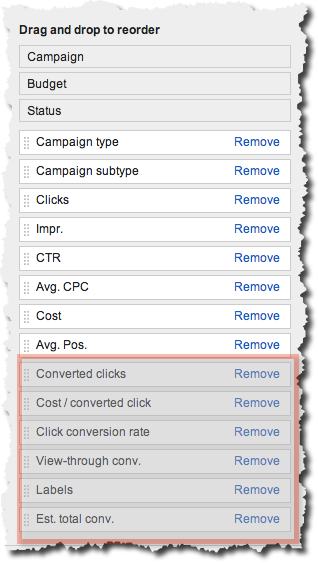 Under the Conversions column,s enable the metrics you would like to use to measure your AdWords conversions.